The number of foreigners travelling to South Korea for medical treatment has been increasing by an average 37 percent a year since 2009 and totalled more than 210,000 in 2013. Many of those came for cosmetic treatment, ranging from relatively straightforward procedures like unwanted hair removal and double-eyelid surgery, to highly invasive jaw surgery. South Korea, and particularly Seoul, has an international reputation for plastic surgery, and adverts featuring famous surgeons and giant before-and-after photos are omnipresent -- on street billboards, subway trains, bus stops and the backs of bus seats. China's growing middle class is a vast potential market, and many Korean clinics have Chinese-language websites. According to the health ministry, more than 25,400 Chinese came for cosmetic treatment in 2013, an increase of 70 percent from the previous year, with each one spending an average of $3,150. In order to prevent price-gouging and ensure standards are maintained, the new measures unveiled Friday require any medical facility treating foreign patients -- and any brokers they use to attract clients -- to register with the ministry. Failure to do so carries a maximum three-year jail sentence and a hefty fine. The ministry said it would offer cash rewards to people who help identify and convict unauthorised brokers, who often charge outrageous fees for their services. A new online rating system will be introduced to evaluate medical service providers, and potential medical tourists will be able to research the results on an official website (www.medicalkorea.or.kr). 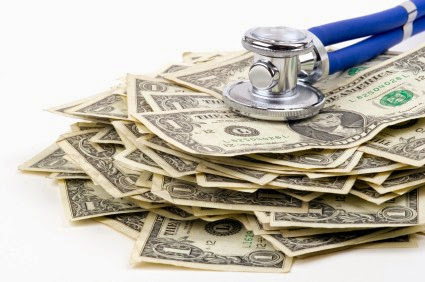 Operating fees, the possibility of side-effects and details for the settlement of post-surgery disputes must all be provided and agreed on before any procedure. The government will also set up a dedicated agency to provide foreigners with information on medical facilities and assist with legal advice.